There are two types of Bangkokians: those who go outside during Songkran and get knee-deep in all the craziness, and those who stay the hell away from it all by bunkering down in their condos till the water throwing subsides, or by sprinting from venue to venue. Whichever you are, if you are stuck in Bangkok during Songkran 2019, here is your survival guide. The type: You don’t mind wearing a shirt and shorts combo for five days straight, and can manage to keep your life in a small, watertight pouch. You’re OK with children chasing you around and are happy to fight back with a water gun of your own. Songkran is a moment to meet up with friends, meet new people, and leave most of the daily essentials at home while jumping from event to event. The Guide: Obviously it's all about going out, but there is more here than just water fights (check out BK’s list of places to celebrate Songkran in Bangkok in 2019 here). Hitting up the war zones is a must, especially now that the small sois aren’t active for water fights as much as they used to be. Get the water-soaked fun out of the way during the day, and head to the parties at night. There is always a metric ton of these going on, and probably within walking distance of wherever you are at any given time. If you don’t live close to the core of the city, check out Splash Jam at The Public near Lad Phrao (491/1 Prasert-Manukitch Rd, 02-553-0349). It's part of the larger Singha Summer Splash event, which sees eight venues across Thailand host music-filled Songkran parties at some of the busiest venues. On top of the Public, Loft in Love (5/99 Srinagarindra Rd, 090 419 4446), all of the Hilary-branded venues in Nana (there are five of them), and Lizm Pub & Rest (9/240 Soi Ratchadaphisek 74, 02-913-9880) are also hosting their own Singha Summer Splash events throughout the holiday. 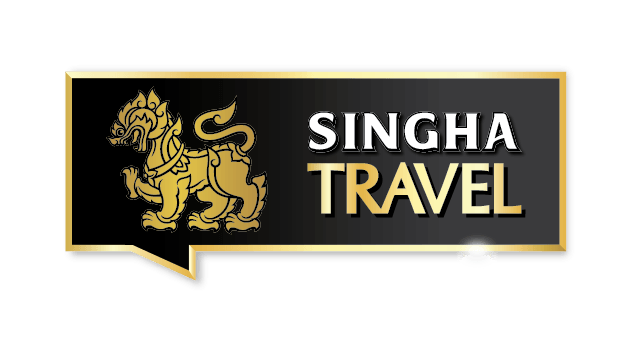 One note if you are one of the many folks heading out of town this weekend, you can catch the Singha Summer Splash event at the Hard Rock in Pattaya (429 Moo 9, Pattaya Beach Road, 038-428-7559), Central Patong in Phuket (198/9 Soi Rat Uthit, 076 600 499), The 4 in Chonburi, and the One Nimman in Chiang Mai. The Type: You’ve done Songkran a million times already, but you’re stuck in Bangkok and want to enjoy a holiday without getting blasted in the face with dirty water while you're walking to get a beer. You’re at the point in your life where most of your friends think the same, and you don’t mind the idea of hanging out in a walled off area while the war rages outside. Meeting new people is great, but only in a demilitarized zone, please. The Guide: Start grabbing rations now like the apocalypse is coming—water, beer, food delivery favorites at the ready. It’s time to gather a group of friends and do Songkran house party-style. If you have a pool and rooftop to chill on, it’s BBQ time (Sloane’s has an online store to get all the essentials delivered without wandering outside). Obviously, you’ll still want some water fight action, but this is more manageable and comes with clean water. If you want to hit up any of the parties outside or visit friends, just order a Grab to your door—and run. Hard lines aside, you’re going to do a bit of both during Songkran. Five straight days of water fights and parties is a bit much, even for the biggest booze fiends. Whether you are kicking back at home, soaking up the free time, or organizing a get-together with friends, proper drinks are a must. Stocking up with an apocalypse-ready supply of Singha for the holiday season is a must. While the war rages outside, you should have a cold one at your side.